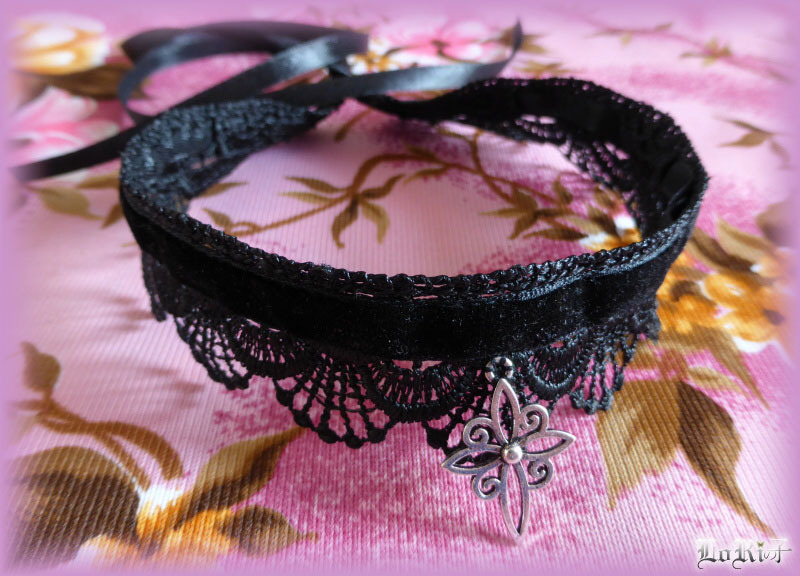 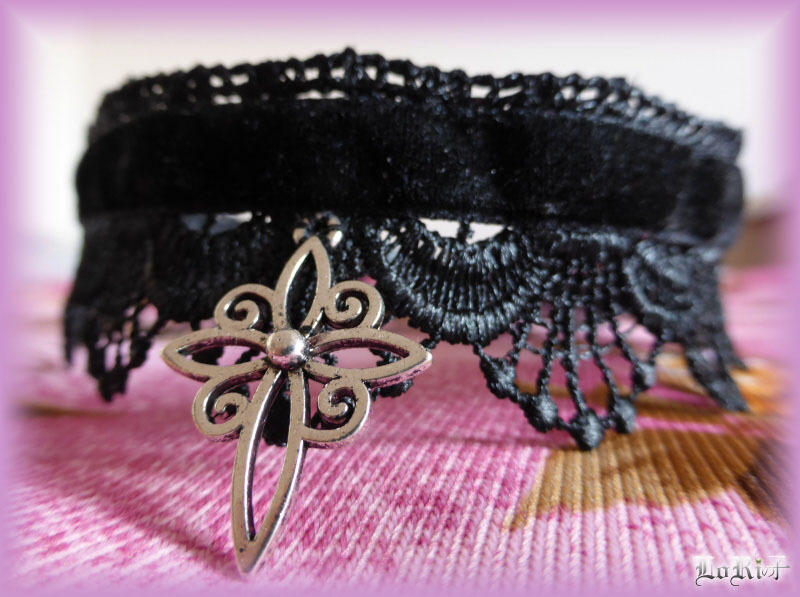 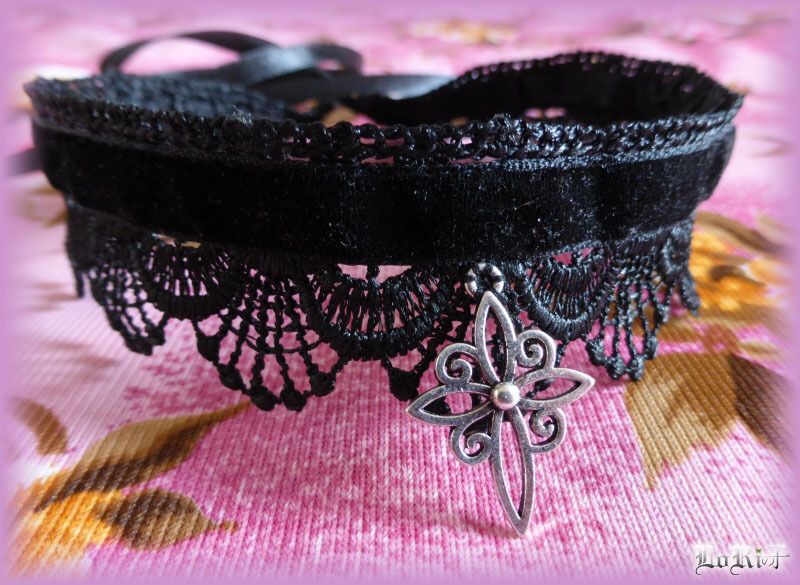 Choker in black conception. 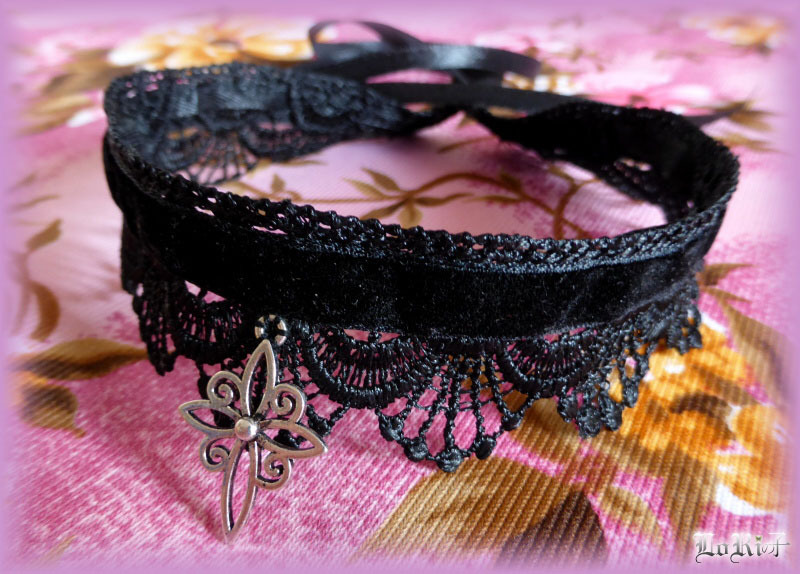 The wide lace from rayon and twined satin ribbon set to lacing are completed with pretty black velvet ribbon. 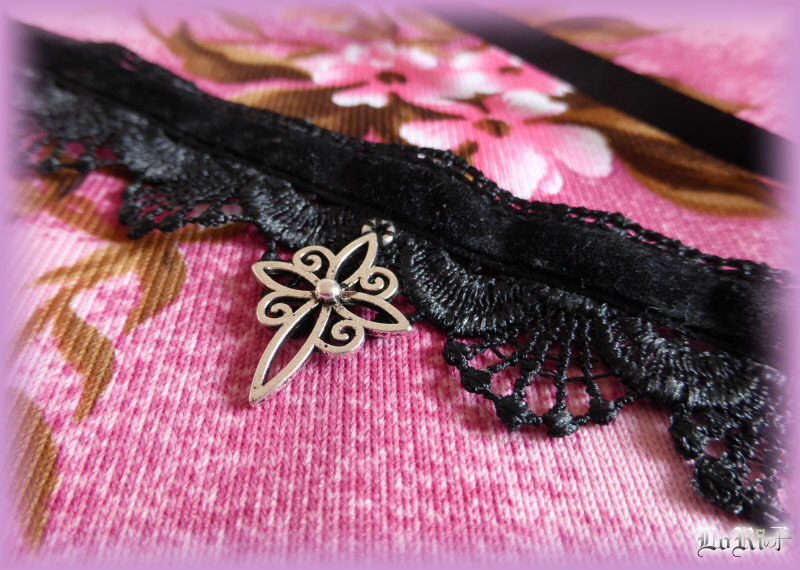 The whole look is decorated with metal pendant in shape of cross.